Are you getting ready to pack up and move to a new state? The last thing you want to worry about is your Medicare Supplement Plan. Have no fear, because we can help you with that. When moving to a new state you may not need to replace your Medicare Supplement Plan. Follow these next steps to make sure you are completely covered by your Medicare Supplement Plan when moving. 1. 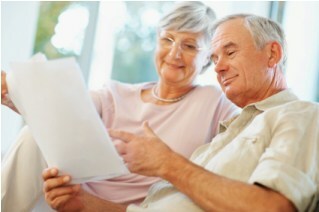 Is your Medicare Supplement Plan offered in the new state? Be sure to check that your plan is offered in that state. You’ll want to contact your Medicare Supplement insurance carrier to see if your plan is available in the state you are moving to. Even though your supplement plan may be offered in your new state, it doesn’t mean it will be the same price. You’ll want to ask your insurance carrier for pricing in the new state. Notify Social Security at 1-800-772-1213 the month prior to your move date. They’ll need to update their records before your move. Contact your personal broker at Medicareinc.com as soon as you know you are moving to make sure you are getting the best plan at the best price in your new area. Your insurance carrier will only have access to their plans, so let a licensed agent at Medicareinc.com shop the market in your new state. Moving to a new state can be full of surprises. Your health care insurance shouldn’t be one of them. Let us help you make the transition smooth and easy when it comes to your Medicare Supplement Plan. Need to contact us now to discuss your situation? You can call us at (480) 382-1823 or click here for more contact information.